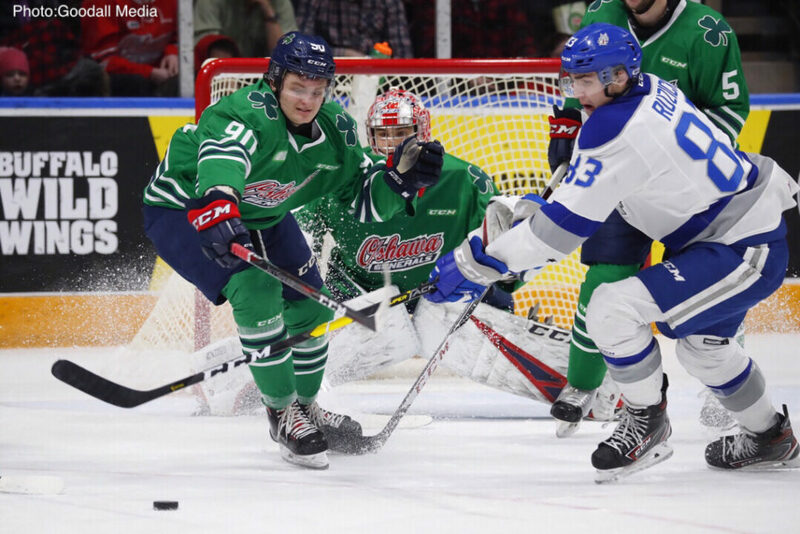 The Generals concluded their regular season tonight at the Tribute Communities Centre with a St. Patrick’s Day matchup against the Sudbury Wolves. Coming off two big wins over the Kingston Frontenacs this week, the Gens entered the game with a 43-20-4-0 record on the season. 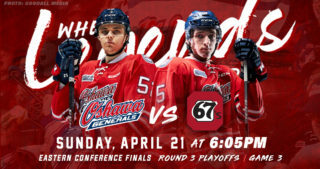 With the last contest before playoffs, the Gens looked for a victory at home to pass the Wolves in the standings and head into the post-season with momentum. The Gens started the game with energy and drew an early first penalty call to Sudbury for interference, giving them the man advantage. While Oshawa was able to get set up and generate a few good looks on net, they couldn’t find the back of the net on the chance. Just a few minutes later, the Wolves headed back to the box after receiving a too many men on the ice penalty to give the Gens powerplay another chance. This time around, Oshawa made no mistake on the opportunity with Allan McShane ripping a wrist shot from the slot into the top corner past Sudbury goaltender Ukko-Pekka Luukkonen to give the Gens a 1-0 lead. 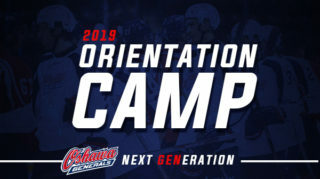 Back at even strength, the Gens continued their strong play with McShane sending Serron Noel on a breakaway with a perfect flip pass that Noel buried to increase Oshawa’s lead to two. Just moments after the goal, Anthony Salinitri got a breakaway of his own that he nearly capitalized on but just slid the puck wide of the net off a backhand deke. After the chance, Gens forward Brandon Saigeon and Wolves forward Darian Pilon started a fight at centre ice that was an even battle resulting in each sitting in the box for five and Saigeon getting an extra two minutes for cross-checking. The following penalty kill saw the Gens put on a strong defensive effort and hold off the Wolves offense to hang onto their two-goal lead. At even strength, Salinitri got another breakaway opportunity in which he tried the same backhand move, but this time was able to put the puck past the Wolves to extend Oshawa’s lead to 3-0 and chase Luukkonen from Sudbury’s net as they headed into the second period. Oshawa continued their dominant play to open the second by controlling the play early and generating lots of offensive zone time. Five minutes into the period, the Wolves got called for a five-minute major for checking from behind to give the Gens an extended powerplay opportunity. However, Oshawa was called for interference at the start of their powerplay to put the play at 4-on-4 for two minutes. 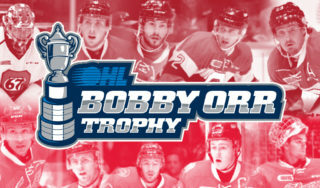 After Oshawa’s penalty expired to put them back on the powerplay for the final three minutes of major, the Gens struck again with Brandon Saigeon passing the puck across Sudbury’s crease to an open Brett Neumann who tapped the puck past Wolves goalie Jonathan Lemaire to give them a big 4-0 lead. 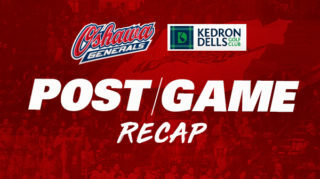 Oshawa’s offense wasn’t done there, as they kept piling on the goals with Nando Eggenberger burying a loose rebound in front of the net to increase the Generals’ lead to five. In the last few minutes of the second, Gens goaltender Kyle Keyser came up with a couple big glove saves to keep the Wolves off the board and send Oshawa into the game’s final frame with a huge 5-0 lead. Coming out on fire to start the third, Brett Neumann wasted no time notching his second goal of the night for the Gens after streaking into Sudbury’s end and taking a rocket snap shot off the bar and in to give Oshawa an incredible six goals on the game. Just over five minutes into the period, the Gens surrendered their first goal of the game to the Wolves off a rebound that was potted in front of the net to put the score at 6-1. Getting the goal right back, Oshawa potted their seventh of the night just moments later with Allan McShane deking out the Wolves goaltender in alone and burying his second of the game. Just before the halfway mark of the period, Sudbury managed to beat the Gens while on a powerplay to give them their second goal to bring the game to 7-2. Once again coming right back with a goal of their own, the Gens added to their massive lead after Serron Noel poked in the puck during a scramble play in Sudbury’s crease to give them their eighth. In the last few minutes of the game, the Gens took two penalties back to back but were able to kill them both off and come away with an incredible 8-2 victory to finish off the regular season. With tonight’s commanding win over Sudbury, the Gens jumped past the Wolves in the standings to claim 3rd place in the eastern conference and a playoff matchup against the rival Peterborough Petes in the first round! 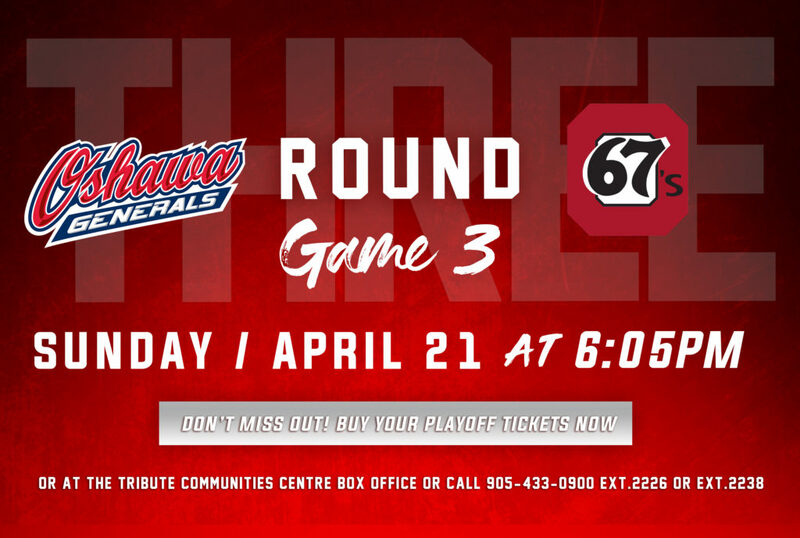 Game 1 for the Gens will be this Friday, March 22nd at 7:35pm at home followed by Game 2 at home on Sunday, March 24th at 6:05pm. 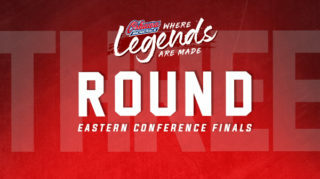 Click here to buy your playoff tickets now!